Hurray! I’ve been consistently blogging in 2011. I really enjoyed each and every blog post and my third year of blogging(2011) has been phenomenal! Creativitymypassion facebook page reached 500 + likes! Isn't it fun to look back at our work at the end of the year! Here's my favorite project from each month. 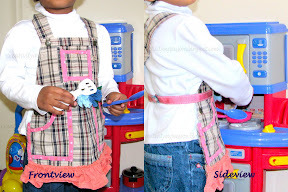 No Sew Apron from Shortalls - I just loved this project because the end result made my little princess super duper excited! DIY Hopscotch play mat - CJ loves Hopscotch and the DIY play mat is a hit! Bird from a empty tissue paper box - It is CJ's most wonderful creative idea to recycle a tissue box into a bird. So it's a proud mama project! 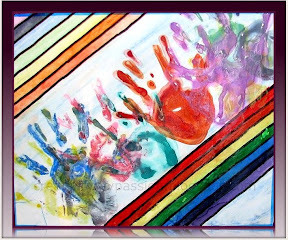 Double Rainbow Painting - I love the beautiful Double rainbow that appeared at our home! Packing Peanuts and Packing Peanuts - We did lot of projects with Packing peanuts! DIY Pull String Pinata - We made the Pinata for CJ's birthday though I wrote the blog post in the month of August! I just adore the way it turned out! Thumbprint Freight Train Freight Train is one of our favorite Train books. We made the freight train art to go along with the book. CJ is growing and next year,2012 we will have more home schooling activities, Fun learning and lot more! Thank you for all your support and encouraging comments! Happy New year to you and your Family Sonia! A really wonderful collection! I am not sure which is my favourite!! Hi I'm a new follower from the Mingle with Us Hop! 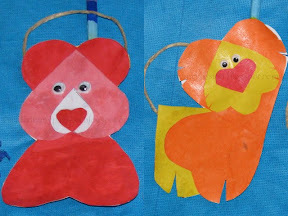 Looks like you did a lot of fun projects in 2011! I love the fingerprint painting and the pom poms. :o) Those are so much fun!! I love all the hands on things you do. Stopping by from playtime hop. You do such wonderful projects. What a year! You def. have an awesome blog! Thank you for sharing your ideas with us on The Sunday Showcase Have a happy New Year friend! These are all such a great and creative activities. I especially love the thumbprint train... sooooo cool!! would love if you could link up and share this on Sharing Saturday. Such amazing projects! I am continually impressed with your creativity. Can't wait to see your projects from this year!